Up here in the northeast region of the United States, it’s been a particularly long and brutal winter. Cold has been ceaselessly relentless, and the snow depth has reached record levels in some places. After a while, cabin fever and dreams of spring become completely dominating. This year, that meant I started thinking about new, bright pieces to bring back some color. 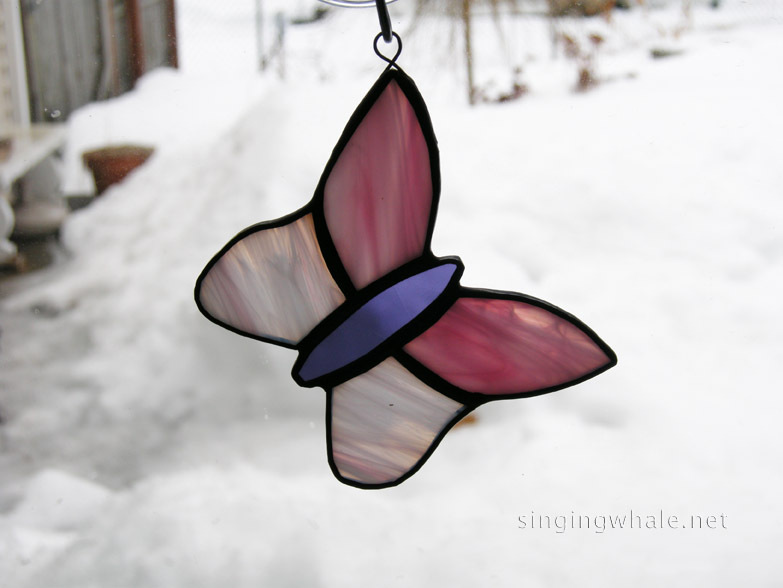 My thoughts turned to the butterfly, and I decided to make up patterns and pieces for stained glass butterfly ornaments. 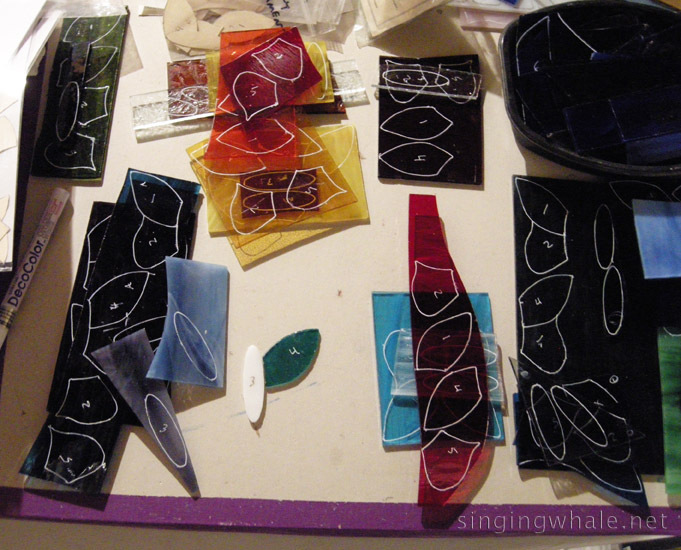 I am doing a brand new event on March 21, Zing into Spring event in New London NH, created by Kearsarge Magazine, so I have been working on making some glass for that day (in addition to many glass hearts!). 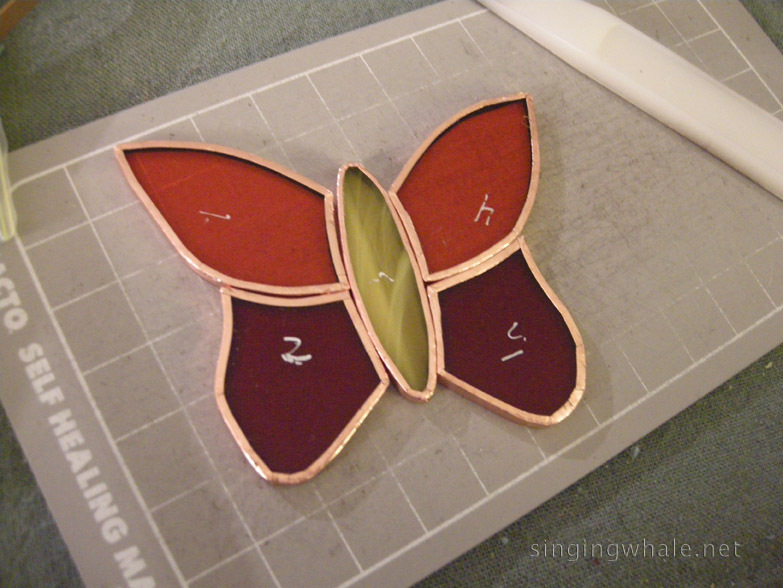 I started thinking about butterflies which could be a little smaller, both in terms of piece size and to have a less expensive take away item. I started fiddling around with drawing butterfly wings in photoshop, consulting the almighty Google image search to look at actual butterfly wings for comparison and inspiration. After a little trial and error, new lines and lots of erasing, I landed on a pattern. Because I don’t do any new pattern simply, as usual it was not enough to make just one or two to start. 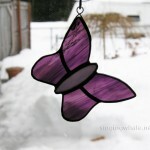 I went through my scrap glass collection (as well as a little of the regular glass stock) and wound up with 18 new little butterflies. 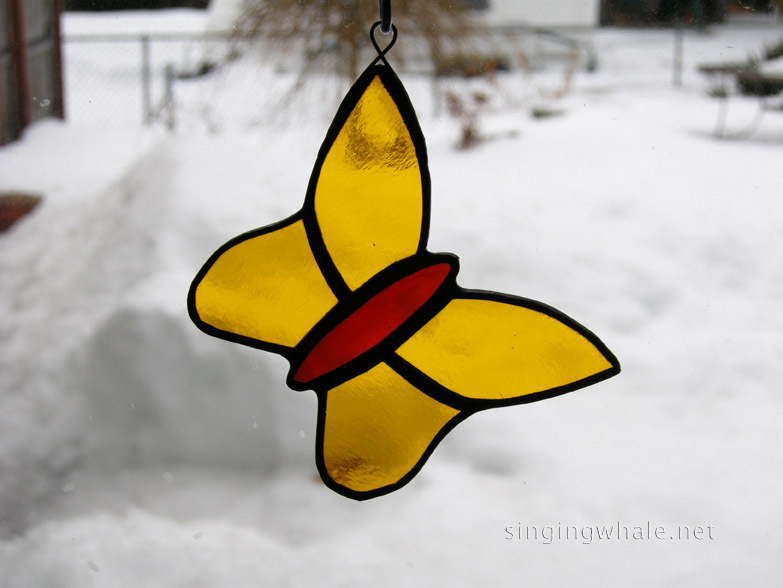 The end result is a lovely stained glass butterfly ornament for any window, or even on a Christmas tree at that time of year. It measures 3.25″ across and 2.75″ high. 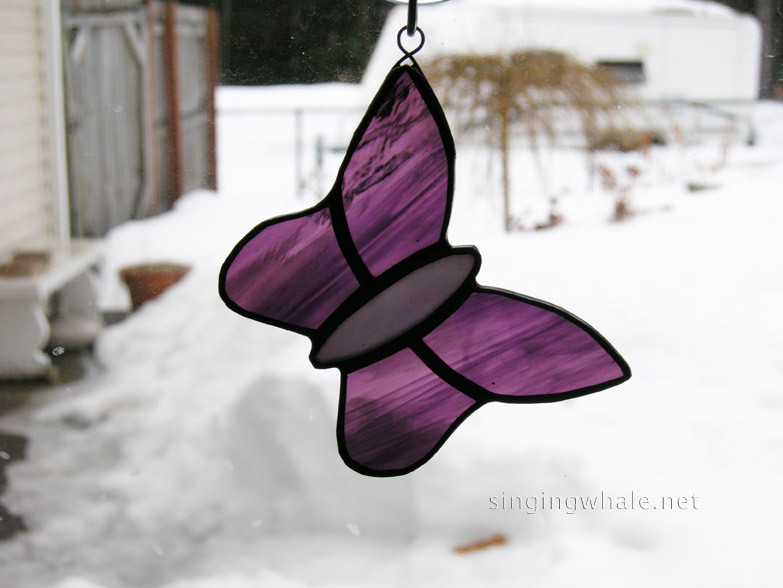 A hanging hook is securely attached so that the butterfly hangs on an angle. They are made with the copper foil method, and the seams are finished with black patina. The color combinations are practically limitless and I think this is going to be a fun piece to make. 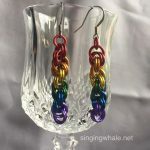 I am offering them for $10 each, plus postage where applicable (ie not at a show). 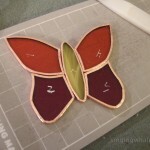 I’ve posted a gallery of the first butterfly ornaments to show some of the potential ranges. Please feel free to contact me with any questions or special color requests. 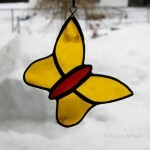 After the Zing into Spring event, I expect I will be putting some of these up on Etsy as well. And if you are free on March 21 and able to get to New London NH, please stop by Zing into Spring. There is a lot of great stuff in store with vendors, classes, demonstrations, and more! 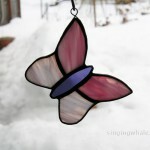 This entry was posted in new works and tagged butterfly, ornaments, stained glass butterfly, suncatchers. Bookmark the permalink. 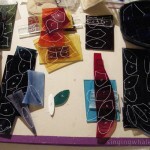 Interested in the blue butterfly with the black middle and the whales tail one, too.